I often hear people lament about how unhealthy pasta is and I start to gesture wildly with my hands in protest like a good Italian should. Let me tell you, nothing can come between an Italian girl and her pasta. Honestly, what would life even be without it? There is no better, sweeter feeling in the world than twirling pasta around a fork and enjoying every bite, guilt-free. 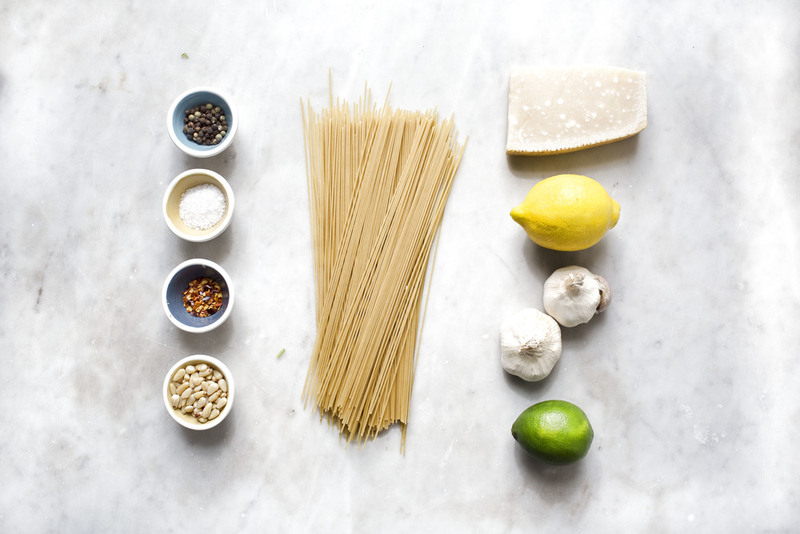 When prepared with the freshest ingredients, pasta is a delicious addition to a wholesome and balanced diet. I’ve always kept it in my rotation as a way to get carbs and protein, and I use it as a base to incorporate my much needed veggies. I’ve been doing about two hours of Mysore yoga a day recently so I really need something that fuels my body but also satisfies my appetite. After just returning home from Europe I’m really inspired by earthy, old-world flavors and thought it would be perfect to share one of my favorite pasta protein power recipes with chili, fresh coriander pesto, asparagus and roasted pine nuts. I decided on a citrusy asparagus recipe for early spring, with a pesto using cilantro instead of basil. It’s so, so easy to prepare. 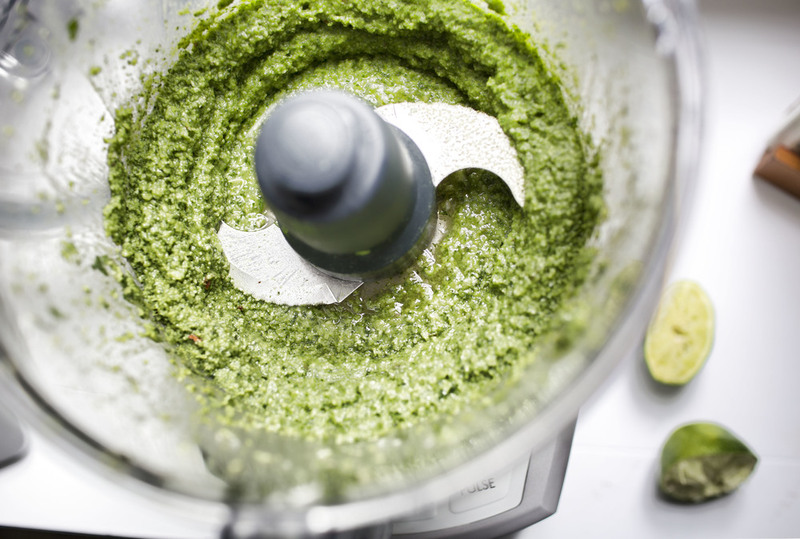 Don’t let the lime fool you in the pesto ingredients. It’s important to help cut the cilantro flavor a bit. I knew this was a success when my fiancé tried it after I photographed it, and said I could make it for him anytime. I think that’s a win! My grandmother will be so proud. Preheat oven to 425. 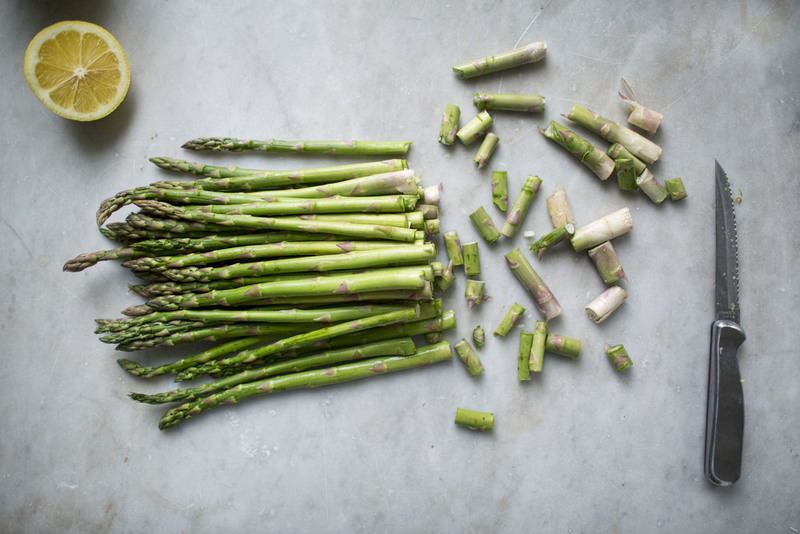 Trim asparagus and toss in 1 tsp. of olive oil. 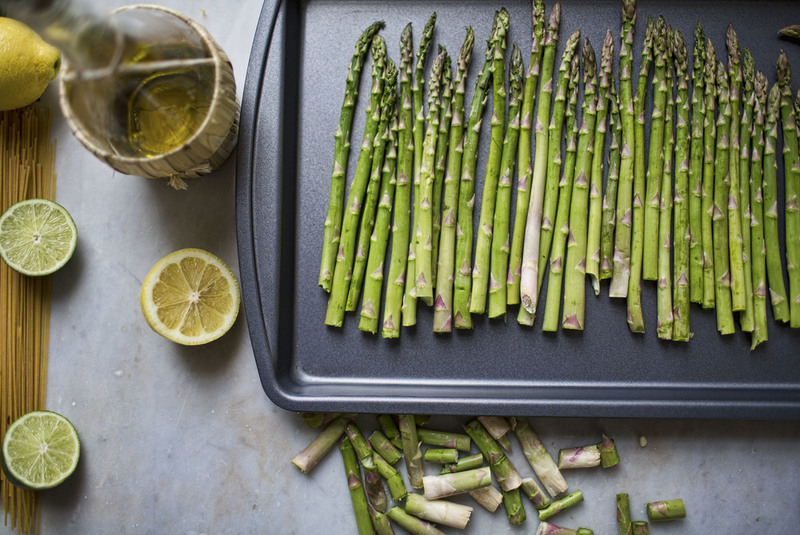 Lay asparagus on baking sheet, add a touch of salt and pepper and a few lemon slices. Cook for 10-15 or until tender, cut into bite-size pieces. Bring salted water to a boil. Cook pasta until slightly al dente. *Keep the pasta water to add later. In a medium sauté pan, dry, add a 1/2 cup of pine nuts on medium heat until toasted. Use for garnish. Serve pasta in a large bowl, add asparagus and pesto sauce, a small ladle of your saved pasta water, and toss together. 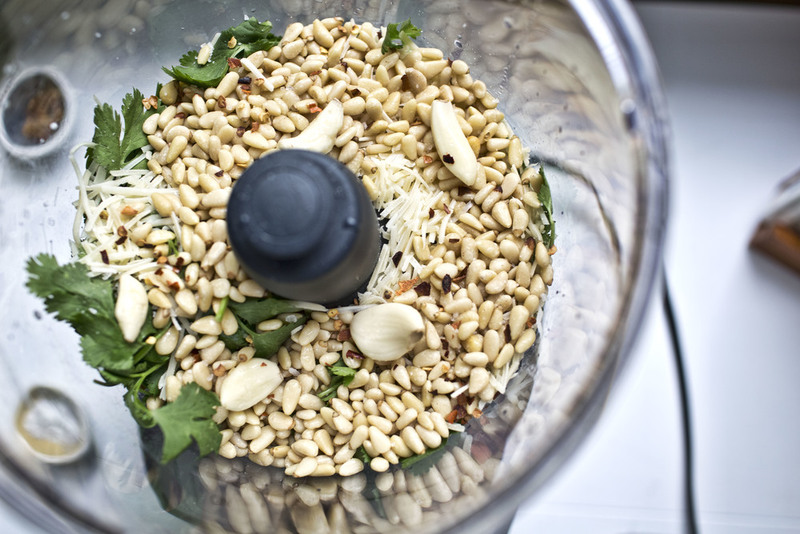 Top off with toasted pine nuts, a pinch of chili flakes and freshly grated parmesan. I also added a few squeezes of lemon to make it even more zesty. You can find this recipe and more at PassionForPasta.com.